Whether you love the change of the seasons or you’d rather have your summer back, there’s one thing we can all agree on: we don’t miss the mosquito bites, bee stings, fly cohabitants, and ants searching for food. It might feel like you have a reprieve from pests for a brief period of time, but winter pests are right around the corner—some might already be indoors. Like many animals and insects, rodents don’t like the cold, and they search for a warm place to sleep during the colder months. Unfortunately for you, your house might be the perfect spot. 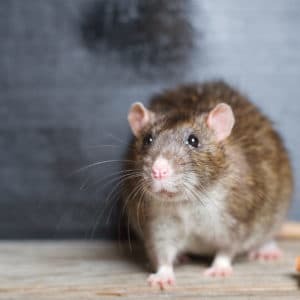 To determine if you have rodents, use your senses: listen for scurrying feet, look for droppings, check for chewed wood, and be on the smell-out for a putrid odor. Stink bugs may be harmless in many ways, but their odor certainly isn’t friendly. When threatened, the stink bug releases an unpleasant and pungent smell from glands located on the abdomen, so what you’re smelling is a distress signal. Typically, stink bugs will emerge from cracks under or behind baseboards, around window and door trim, and around exhaust fans or lights in ceilings. Spiders have likely been your cohabitant all year long, but as you’re spending more time indoors, you’re likely to run into them more often. Often times, spiders are more of a nuisance than a problem, but there are some very dangerous spiders lurking in the northeast that shouldn’t be messed with. While you can’t prevent every insect from finding their way in, you can take a couple measures to make it hard for them. Seal gaps around windows and doors, including garage doors. Seal gaps around the area where pipes and electrical/cable lines enter the home. Look for openings around soffits, eaves, attic fans, windows and vents in the attic used for ventilation. Inspect chimneys. Be sure the damper is closed when not in use. If your home has a wood-burning fireplace, lighting a fire may discourage the insects from using the chimney as an entry point. Do You Want to Kick Winter Pests out in The Cold? The pests professionals at Green Pest Solutions are here to keep your home free of the pesky uninvited houseguests and kick them out when they find their way in. Call us today at 877-636-9469 for a free estimate.